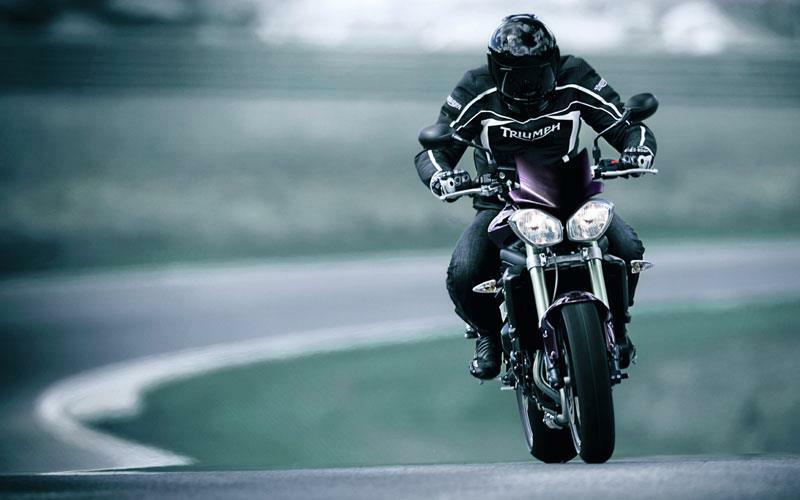 Triumph has bumped the spec of its 675cc Street Triples gently upward while keeping hold of the prices. 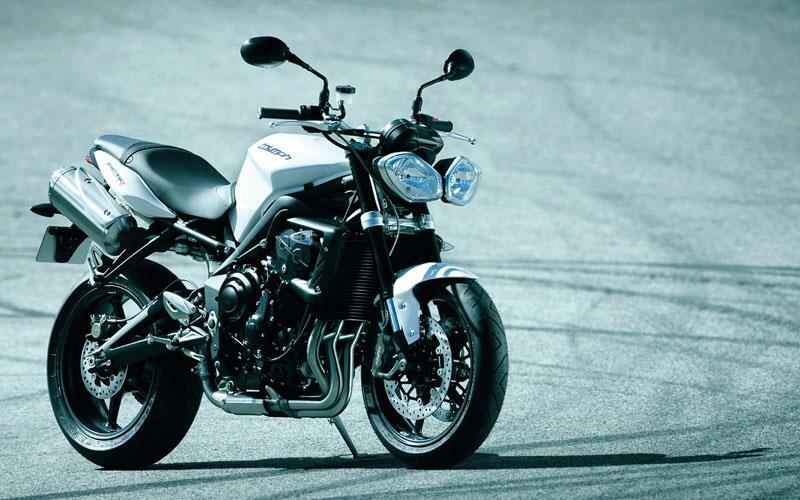 The new bikes get a de-chromed look, chunkier aluminium bars (previously just on the Street Triple R model) and of course ‘those’ headlights. The standard bike will cost £6649 on the road with the R set at £7349. 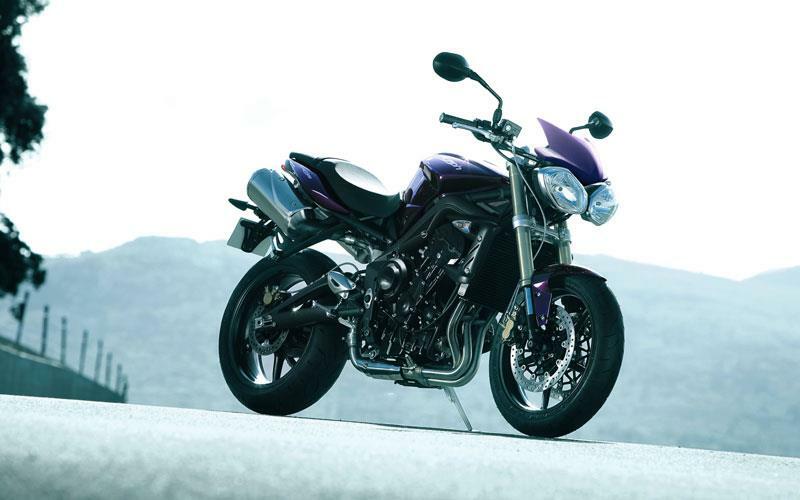 The makeover also marks a welcome return to a risky colour choice for Triumph, with a metallic purple on the non-R bike. Unlike the Speed Triple’s ill-fated 2002 outing in shocking pink (Triumph’s confidence in the colour was already waning when they came to name it ‘Nuclear Red’), the Street looks a treat in its Cadbury colouring. 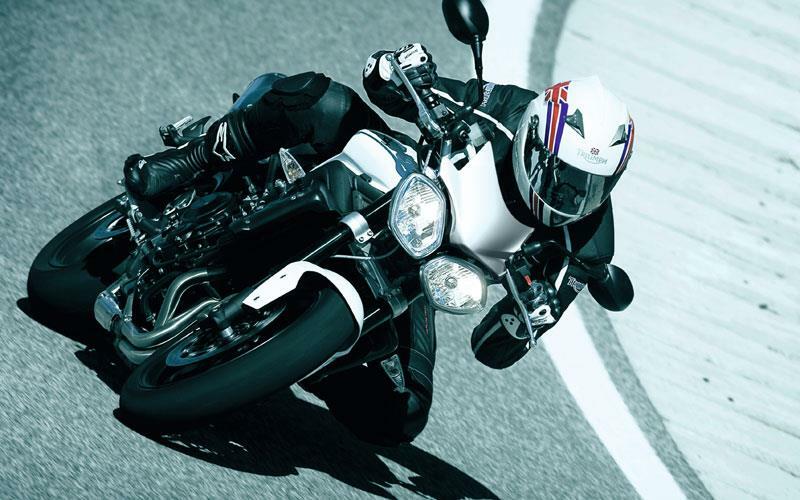 Triumph says: “Both models have been ‘dechromed’ with brushed steel exhaust headers, heel guards and silencers replacing the previous polished items, while new handlebar clamps, machined detail on the handlebar end weights and redesigned headstock infills add a further touch of quality to the class leader. 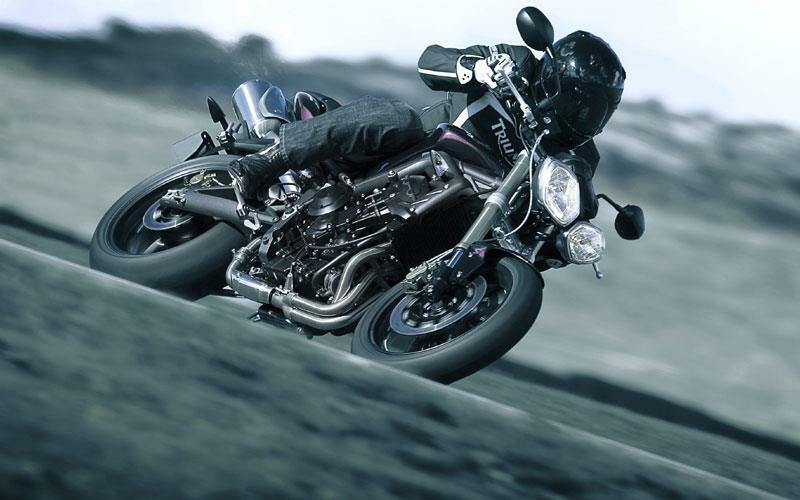 Mechanically there are no changes (the Street Triple keeps the same 104.5bhp inline three-cylinder motor) so existing owners will have an easy time of telling themselves their bike is in no way rendered obsolete overnight. 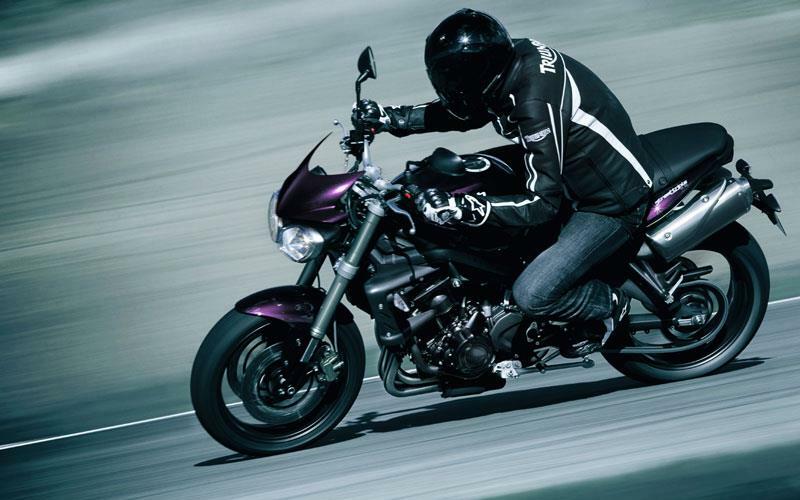 But the new model undoubtedly takes an instantly appreciable step forward in looks and cool. Colour options are metallic white, black and purple for the standard model, while the higher-spec R is coming in red, white or black with gold wheels.